Yes, ok – this team does not have the worst record in the league, but man-oh-man, it is bad. Bad in a way that is almost unfathomable. Even just focusing on the performance on the hardwood, which today reached new lows with a performance against an old foe that beggars belief. Boston Celtics 104 – New York Knicks 59. Surely records were broken in this game… it’s not the lowest score ever (as far as I’m aware that’s 49 points by the Bulls), but to have a game where your ‘best performed player’ – Quentin Richardson – has the statline of 3-11, 7 points, 6 rebounds, 1 assist… and no player scores in double figures… sad times indeed. To think, that not so long ago – but a year, the Boston Celtics were in similar straits. A roster that was fast going no-where, and competing to be the worst in the entire league. What a difference a year makes! Now the Celtics look like the early holders of the Eastern Conference, and Danny Ainge is looking absolutely messainic to the entire state of Massachusetts. Reflect that on Isiah Thomas. He has dragged the once-proud franchise through the mud over the off-season. A worse period in the history of the Knicks you’d be hard-pressed to find. 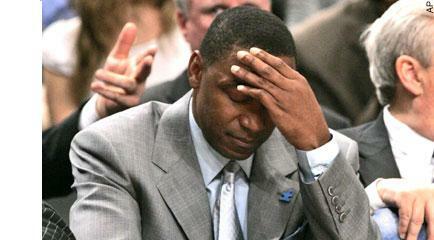 Isiah’s decisions have saddle New York with more salary-weight than is believeable, for no return. And the millstone of Stephon Marbury continues to hang around the collective neck of the Knicks. The parody offered by Onion Sports today “‘Fire Isiah’ Chant Breaks Out During Knicks’ Front-Office Meeting” can surely only be a very small way off the truth. The problem is, Knicks owner James Dolan seems to stay a staunch defender of Thomas. Whilst the team itself is awful, there were consolations in some of the performances that indicated that maybe… just maybe, the team wasn’t as bad as first thought. But with Boston revealing flaws in the roster of a magnitude that rivals the franchise’s off-court issues, the time has come for the team to take a new direction. Isiah Thomas must be fired, and if that news is released in the hours post this game, I’ll not be surprised. Get it done guys, it’s simply embarrassing now to see this franchise fumble around in the dark like some pubescent boy on his first date. Let me add my voice to the mythical minions in the Onion’s NYK Front office: Fire Isiah. A lil’ warmer today, and bring on the weekend! Reds lose shocker to Ehime FC (Emperor’s Cup Soccer)… [Daily Yomiuri] David & Goliath… yet again. Common sports theme, huh? Greisinger & Cabrera to walk (NPB)… [Daily Yomiuri] Top NPB players to walk out on Yakult & Seibu, respectively. Katayama rolling, and Ishikawa tied for 3rd in the GTO finale (golf)… [Daily Yomiuri] Shy Prince Ishikawa not far off the pace. Auntie-fans & golf enthusiasts alike would love a Ryo Ishikawa win! Colin Cowherd’s a jackass. He is living proof that the mainstream media get it wrong, and on a regular basis. I rarely listen to his show, and each time I do, I remember why I don’t. I’m not surprised about his thoughts on Sean Taylor – that doesn’t mean I’m not disgusted either. Dan Steinberg rips Colin Blowhard Cowherd at D.C. Sports Blog. I’m not going to speak on Sean Taylor, or my disgust for the way this tragedy has been handled by much of the mainstream media. There’s enough out there to fill volumes, and Sarah Schorno sums up my feelings on the entire issue far better than I ever could. Over at The Naughty American. Rupert at The Ghosts of Wayne Fontes tries to provide a salve for the troubled souls of those in the sporting world in Becoming A Better You. Phenomenal personal account of a shared time with USC Football guru, Pete Carroll – My Lunch With Pete, over at Pyle of List. Dads… finishing with this one to all of you. As a father myself, sometimes life needs a lil’ perspective. Making The Dance (an excellent college basketball blog) lends us some in a lil’ anecdote: Putting First Things First. Recently at two different forums I’ve been involved in conversations regarding Andrew Bynum, the LA Lakers center who was much-maligned over the Summer – from many different sources, including here at With Malice… my basic argument has been that he’s responded well to that criticism, and has made real in-roads into repaying the loyalty that the Lakers front office has shown him. Cutting and pasting now, this was one of my comments, in response to a guy discussing my Utah piece suggesting that the Jazz could trade Kirilenko for someone like… say… Andrew Bynum. Sorry, but no way in hell do they deal Bynum now. Not after being offered Kidd, and refusing. This is where the Lakers have put their future, and they’d look like right idiots to take Bynum now, after basically passing up Kidd, then later J O’Neal too… especially not for a guy who has obvious issues like AK-47. Bynum has really impressed thus far this season. He’s only playing 25 minutes a game, yet averaging a double/double (11pts/10.2 rpg). He has a very high shooting % (57.6), shoots FTs well (72.5%) and gets more than a block a game… to put those statistics in perspective, Dwight Howard plays nearly 50% more than Bynum (37 min), gets 22 ppg, 14.4 rpg, and just over 2 blocks a game… and is considered to be the best big man thus far this season. Bynum is in the top 10 in both points and blocks for centers (at 9th/6th respectively), and plays the fewest minutes out of any of the top group of centers. If Oden started this year, and had these numbers we’d be declaring him to be doing very well indeed. People often forget that Oden & Bynum are the same age. Bynum just turned 20, and whilst he has a loooong way to go, he’s on the way. On various opponent blogs he’s been described both as a ‘beast’ and a ‘monster’. What’s he going to be like in a few years time? No, LA will keep Bynum, as well they should. I’ll stand by my comment on Oden. I think far too many pundits forget that Andrew Bynum’s birth occured on October 27th, 1987. Less than 3 months before Greg Oden’s January 22nd 1988. And I’m not saying that Bynum’s destined to be as good as Oden… just that the numbers he’s having now would be acceptable for Greg Oden. Who knows how good he’ll end up being? Talent isn’t always realised. 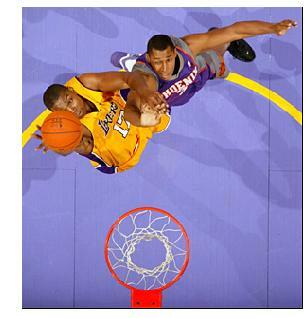 And I also understand the quandary Kobe’s in – Bynum at his peak happens much later than Kobe being a viable option. There’s definitely a conflict of interest there. But one thing is definite: there is the promise of a very good center there, and I’ve changed my mind. Keep him. Hell, nearly December… Time flies, huh? Olympic Dreaming – Calling For Input! 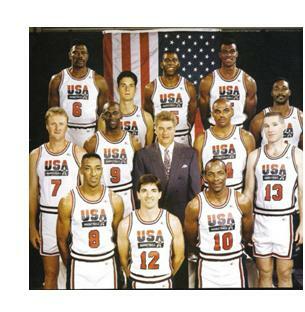 I’m going to write an opinion piece on ‘Who would win between the current US Olympic Basketball Team and the 1992 Dream Team’. Calling for input from readers – bloggers, or anyone who wants to have their opinion counted (*cough, cough* Rob? *cough, cough*)! Send your thoughts to me in an email (my email address is near the top of the right-hand column), along with a link (if you have a site that should be linked!). Cold, cold, cold day here. Ok, I know some of you are ‘colder’, but for me – this is cold. JFA & Okada begin negotiations (football/soccer)… [Daily Yomiuri] If there’s a team worse off than Australia at the moment for coaching, it’s Japan. Is Okada – who had the position a decade ago – really the guy they need? Redskins’ Taylor dies after shooting… [Japan Times] Horrific. Commiserations to his family. Ueda might excel on the LPGA… [Japan Times] Can Momoko get it done where Ai’s struggling? Hanshin withdraws from Fukudome stakes (NPB/MLB)… [Japan Times] Only the Yomiuri Giants pursue him in Japan now… me? Hoping for a Cubbies uniform for Kosuke!